EVANSTON, Ill. --- Imagine a cellphone battery that stayed charged for more than a week and recharged in just 15 minutes. 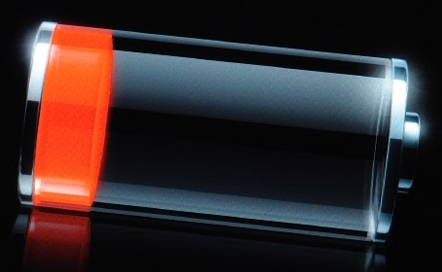 That dream battery could be closer to reality thanks to Northwestern University research. With current technology, the performance of a lithium-ion battery is limited in two ways. Its energy capacity -- how long a battery can maintain its charge -- is limited by the charge density, or how many lithium ions can be packed into the anode or cathode. Meanwhile, a battery’s charge rate -- the speed at which it recharges -- is limited by another factor: the speed at which the lithium ions can make their way from the electrolyte into the anode. Currently, the speed of a battery’s charge rate is hindered by the shape of the graphene sheets: they are extremely thin -- just one carbon atom thick -- but by comparison, very long. During the charging process, a lithium ion must travel all the way to the outer edges of the graphene sheet before entering and coming to rest between the sheets. And because it takes so long for lithium to travel to the middle of the graphene sheet, a sort of ionic traffic jam occurs around the edges of the material. Now, Kung’s research team has combined two techniques to combat both these problems. First, to stabilize the silicon in order to maintain maximum charge capacity, they sandwiched clusters of silicon between the graphene sheets. This allowed for a greater number of lithium atoms in the electrode while utilizing the flexibility of graphene sheets to accommodate the volume changes of silicon during use. Kung’s team also used a chemical oxidation process to create miniscule holes (10 to 20 nanometers) in the graphene sheets -- termed “in-plane defects” -- so the lithium ions would have a “shortcut” into the anode and be stored there by reaction with silicon. This reduced the time it takes the battery to recharge by up to 10 times. The Energy Frontier Research Center program of the U.S. Department of Energy, Basic Energy Sciences, supported the research. 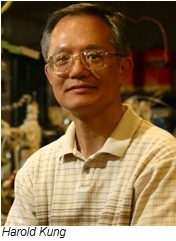 The paper is titled “In-Plane Vacancy-Enabled High-Power Si-Graphene Composite Electrode for Lithium-Ion Batteries.” Other authors of the paper are Xin Zhao, Cary M. Hayner and Mayfair C. Kung, all from Northwestern. Megan Fellman, science and engineering editor, and Sarah Ostman, content specialist at the McCormick School of Engineering and Applied Science, contributed to this story.